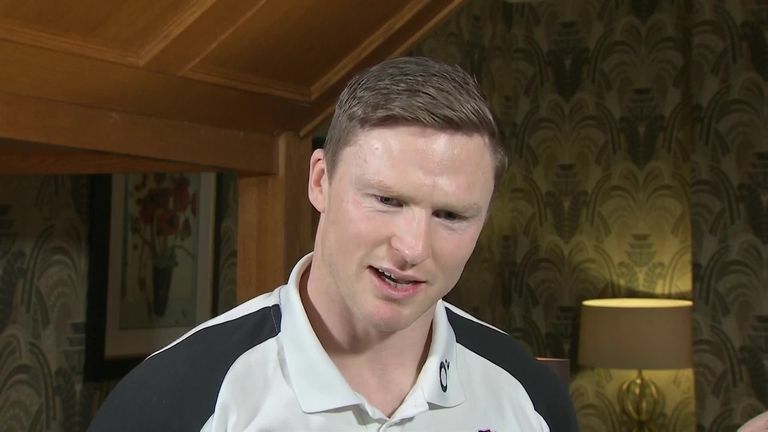 Eddie Jones: "He brings us something different that we think is going to be valuable at the start of the game - he's a try poacher"
Chris Ashton says it will be a "big privilege" for him to make his first Six Nations start since 2013 when he lines up for England against France on Sunday. Ashton has displaced Jack Nowell from the right wing for England's round-two fixture against France, with Eddie Jones explaining the decision by stating "we think he might sneak us an early try". "At that time, I'd never have thought we'd be sat here with me about to play France.